In this post we look at the Airtel family and friends benefits, subscription codes and how to check balance. Airtel offers a service that enables you to spend less to numbers you call often. The Family and Friends service allows you to put together all the numbers you frequently dial and enjoy a discount every time you call these numbers. The Airtel Family and Friends is a tariff service available for all Airtel Prepaid customers. The service was designed to help you bring your family and friends closer with discounted rates on calls made to most loved numbers registered on the Family and Friends (FAF) service. The phone numbers you frequently call could be that of your mother, father, brother, sister, child, colleagues or boss, and you don’t need to pay the regular call charges when you call them. As long as you register them on Airtel Family and Friends (FAF) list you can start enjoying discount each time you call them. You can spend more time on this type of call than when you make a normal call. How Family and Friends Service Works. The Family and Friends service allows you to add and remove as many numbers as you can. You are entitled to register free first five numbers only, after which you can pay for subsequent registration at the rate of N50. You can easily add a number on the Family and Friends service by dialing the following USSD code: *141*2*NUMBER# e.g.*141*2*08023468516#. That is when you want to add 08023468516 to your Family and Friends list. To delete or remove a number or numbers from your Family and Friends list simply dial *141*3*NUMBER#. For example, dial *141*3*08023468516# to remove 08023468516 from your Family and Friends list. The code to use when you want to view your list of registered numbers on your Family and Friends include: *141*5#. Simply dial this code and you will instantly view your list of registered numbers. The Peak Periods starts from 6am to 9:59pm and is charged at 25 kobo per second for calls made to Family and Friends numbers; while the off peak periods starts from 10pm to 5:59pm and is charged at 21 kobo per second for calls made to Family and Friends. This allows more talk time with your loved ones irrespective of the tariff plan you are on. I want you to also know that the service is only available for prepaid customers on Airtel network. In case you are confused and want further inquiries on this service or any other Airtel service, you can call the Airtel customer care line on 111. It is a free call from any Airtel lines. If you are still not cleared of your doubts, you can visit any Airtel office nearest to you. 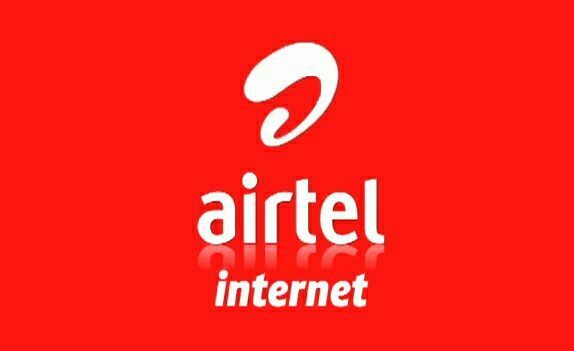 On November 4, 2016 at 1:28 am was the date that Airtel merged its Smart Connect package specially designed to give new customers six times the value on every recharge to include a Family and Friends feature. You need to add up to four Airtel numbers as Family and Friends by dialing *311*2*Airtel Number#, if you really want to enjoy the Family and Friends bonuses on each recharge. Installing Facebook, Twitter, Whatsapp and BBM on your phone enables you to enjoy the free social bonus on every recharge. SmartConnect is Airtel’s premium default bonus plan made especially for new prepaid customers. Immediately a customer buys a new SIM card, registers and puts it in a device, he/she begins to enjoy the six times bonus plus other bonuses on each recharge of N100 and above. The extra N1000 airtime you will receive is for access to social media. According to Airtel, the SmartConnect package airtime in the main account will remain valid until exhausted while all bonuses have seven-day validity.A customer who recharges N100 gets N100 in his/her main account and further receives a bonus of N250 for voice calls to all networks. You will receive N250 for 50MB data including N100 airtime to call family and friends, and extra bonus of N100 for Facebook, Twitter, Whatsapp and BBM. This makes a complete N800 airtime on each N100 recharge. If all bonuses are not rolled over as long as recharge goes on within 7 days, all used bonuses will get lost. If you want to recharge dial *126*PIN# to recharge, and if you want to check balance dial *123# to check account balance. You have seen that Airtel Family and Friends have a lot of benefits for the subscribers. It is most profitable for those who have numbers they call regularly — possibly on a daily basis. Instead of wasting your airtime calling those favorite numbers, Airtel’s Family and Friends service will help you to get charged less while you talk more. Have you been helped by the information you read from this post? Kindly use the comment box below to tell us.